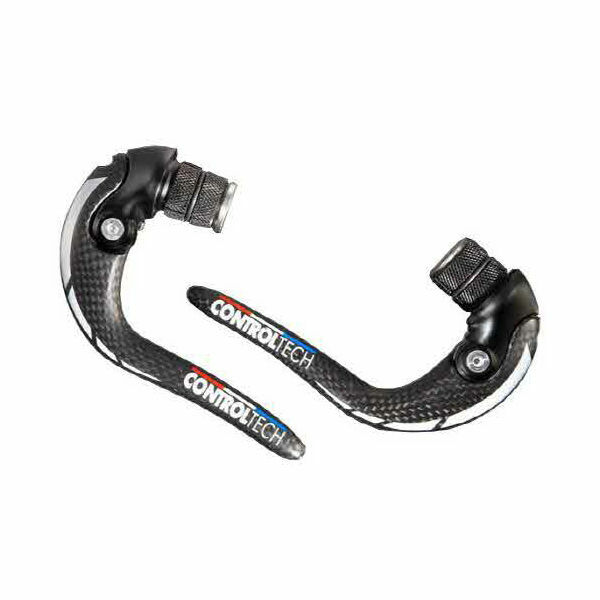 Lightweight set of carbon brake levers for time-trial and triathlon. • Carbon time-trial and TT levers that are aerodynamically bladed to cut through the wind and reduce drag. • Carbon composition provides a significantly strong and durable lever at an extremely low weight. • TT lever design provides an assured and comfortable grip when braking. • Minimalist design, including hollow levers, adds to the aerodynamic nature of the levers while ensuring they hit the scales at just 124g for the pair. • Suitable for bars with an inner diameter of 20mm.